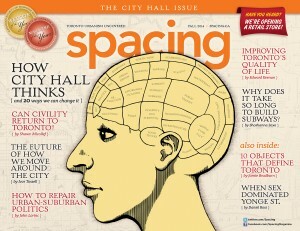 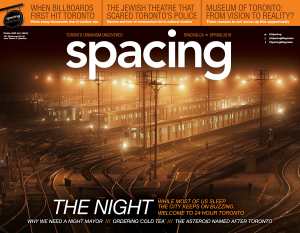 The winter 2018-19 edition of Spacing marks the magazine’s 15th anniversary issue. 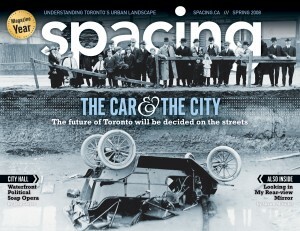 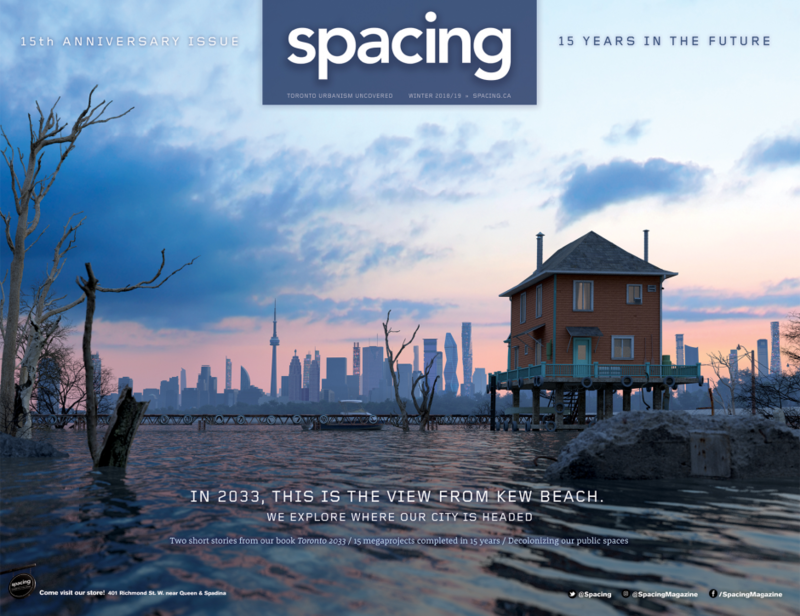 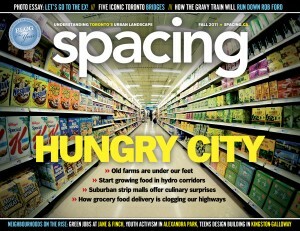 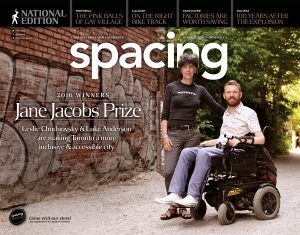 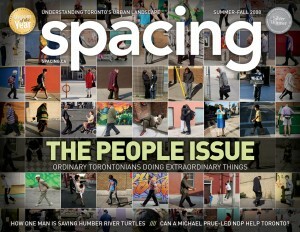 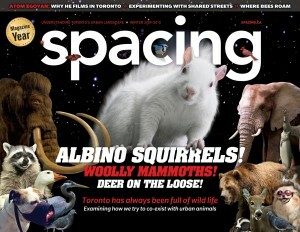 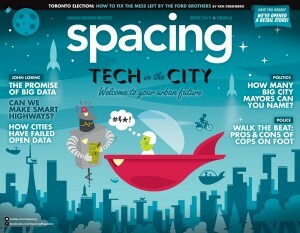 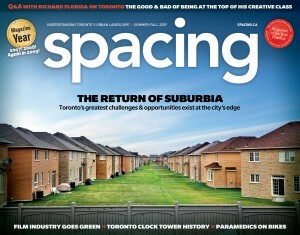 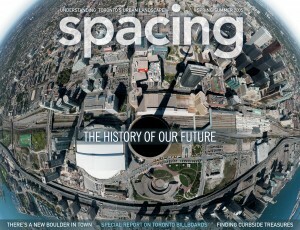 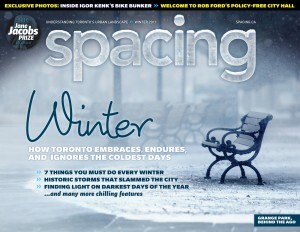 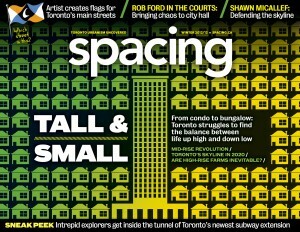 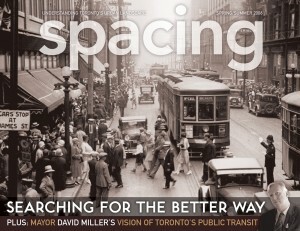 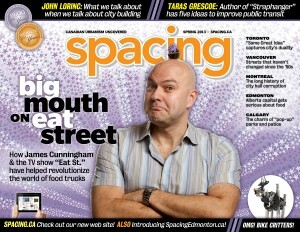 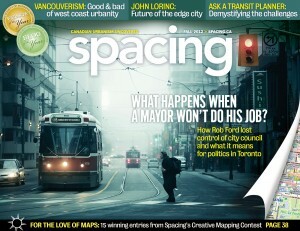 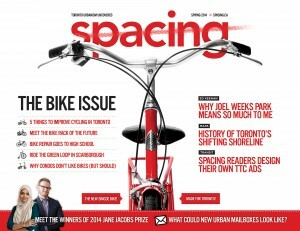 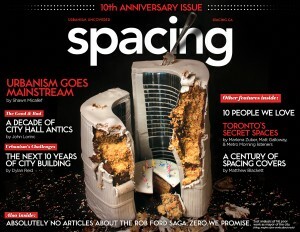 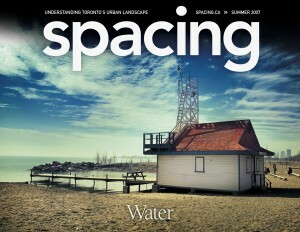 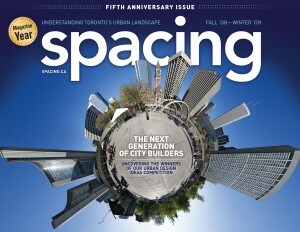 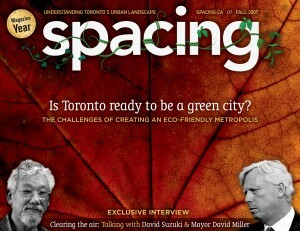 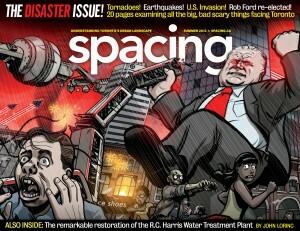 In December 2018, on the official anniversary of the launch of the magazine, Spacing released “Toronto 2033”, a book that collects 10 short sci-fi stories that imagine our lives 15 years in the future. 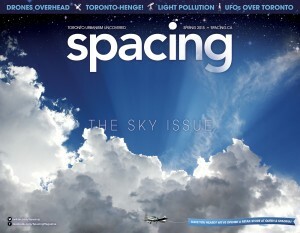 The release of the magazine is the second part of our celebration. 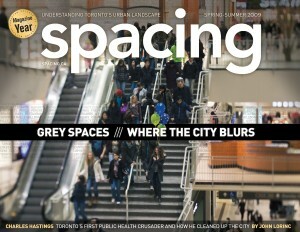 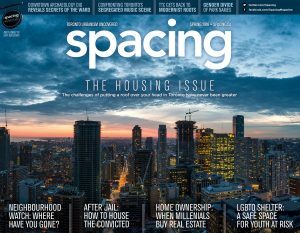 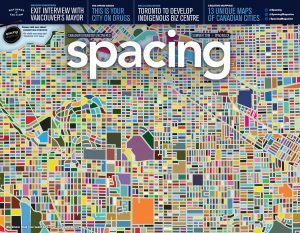 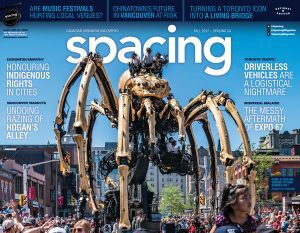 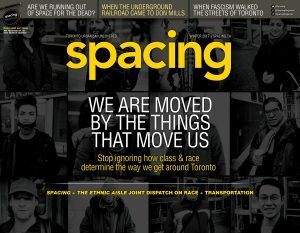 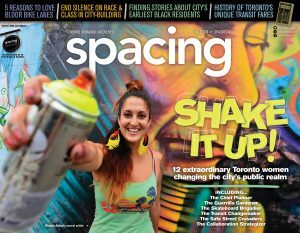 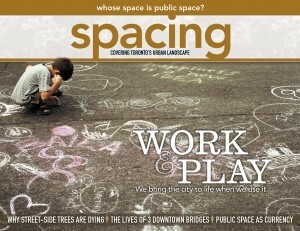 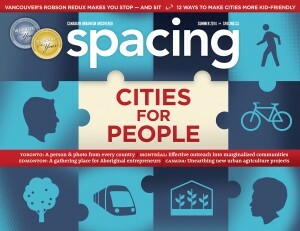 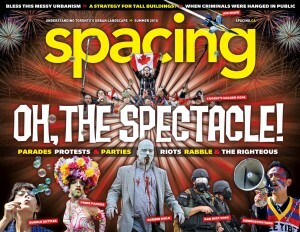 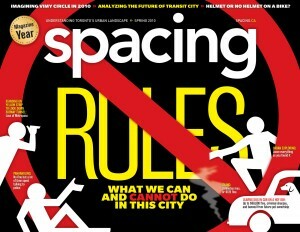 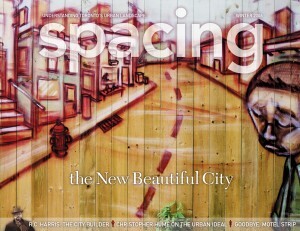 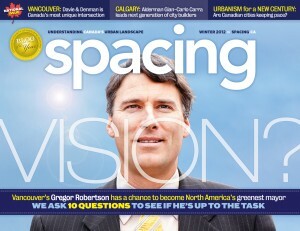 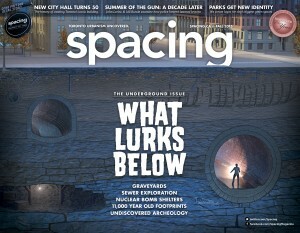 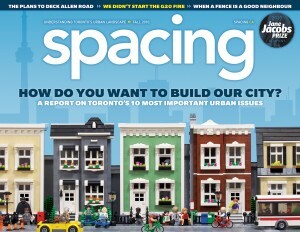 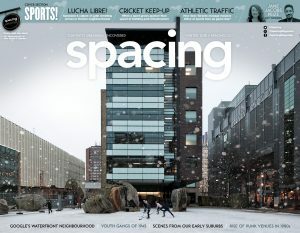 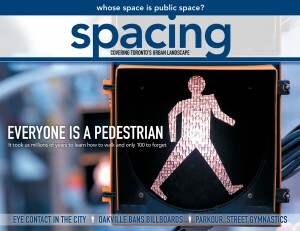 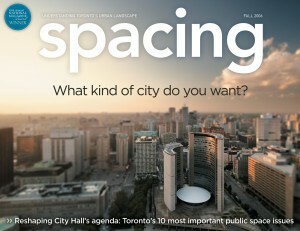 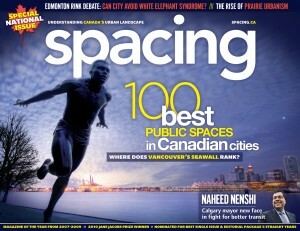 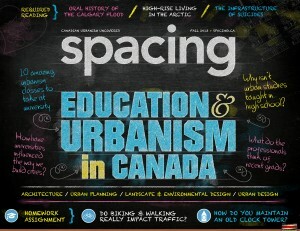 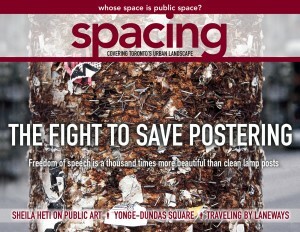 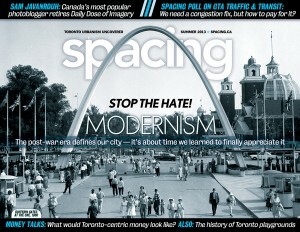 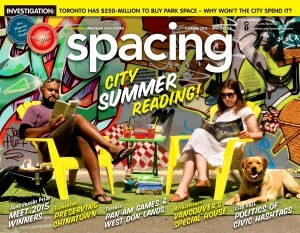 Inside this special issue, our contributors tackle a variety of subjects that we’ll be challenged by in the future: decolonizing our public spaces, where residential growth will intensify, and where to plan the eventual Stanley Cup parade for the Maple Leafs. 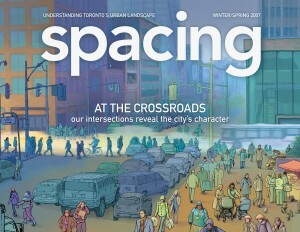 You’ll also find two of the ten short stories from our “Toronto 2033” book. 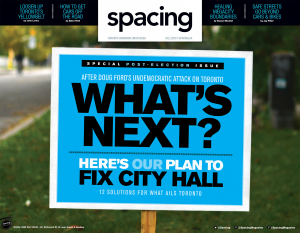 Sticking to our theme of 15, readers will find 15 people and organizations we love, 15 mega-projects on the horizon, 15 ways to save local democracy, and 15 things Toronto can do to save the planet. 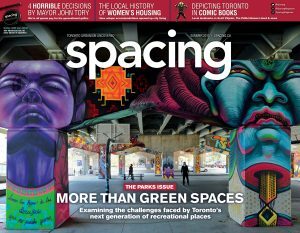 You’ll also find visual stories, such as the mind-bending ‘art installations’ by Voidz and five fictional historic covers from Spacing.